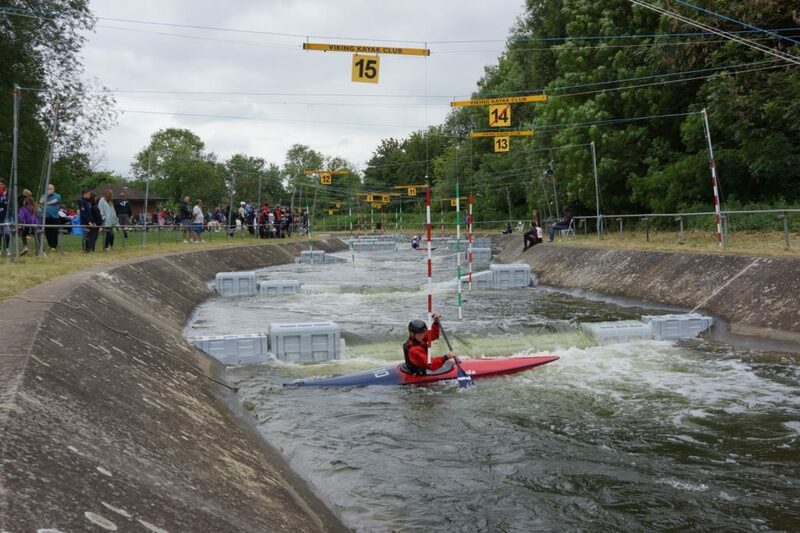 In England there are not that many sites where you can try white water rafting but you can head to one of the rivers where a course has been designed within the natural waterway. Cardington can be found on the River Great Ouse just outside the town of Bedford. The Cardington Course is 120m long and users of the course can move boulders to different positions to create different configurations within the course. The drop in the river feeds the course by gravity and there is no manual pumping of water involved. It is not just rafting groups that use this course – canoeing groups love it too and there are many competitions that take place here throughout the year. This is the first artificial white-water rafting course in the country, having opened in 1982 and it is ideal for beginners. The boulder system was used at the London Olympics site and was adopted at Cardington in 2013 after funding was obtained via a grant. The boulders are easy to move and beginners can be shown how to do this to create the course that they want for their trip. The course features a bed slope of 1:100 and the movable boulders can be secured to the base of the course channel. Those who are training to compete in national and international competitions often use the facilities here and the site is managed by the Cardington Management Group. Many of the staff here actually work on a voluntary basis and this has become one of the most popular sites in the UK due to its suitability for beginners. As with all white-water rafting sites, it is important for users to take notice of the safety regulations and staff are on hand to ensure that users are familiar with the rafting equipment.